Talking about F1: The F1 blog: What if... Williams in the 1994 title showdown had changed Hill's suspension in three minutes? What if... Williams in the 1994 title showdown had changed Hill's suspension in three minutes? Let's talk about something that never happened. What historians call a 'counterfactual'. Or, to put it more into layman's terms, a 'what if?'. You'll recall some of the fun that we had in the second part of qualifying in Sepang last weekend. Fernando Alonso's Ferrari and Daniil Kvyat Toro Rosso on their out-laps came into contact, which among other things snapped an arm on of the F14 T's front suspension. Just about all assumed that would be the last we'd see of Nando that day, but it reckoned without the Ferrari mechanics who managed to replace the arm within three minutes, and before we knew it the Spaniard was back out circulating. Eventually it resulted in a fourth place grid slot for him. But afterwards the events got me thinking. To Adelaide in 1994. Most of us are familiar with what happened then. It was the final race of the season; a championship showdown, with Michael Schumacher and Damon Hill but one point apart. On the Sunday the two disappeared off together in a race of one, only for them after 35 laps of 81 to - one way or another - make contact with each other. Schumi ended up in the barrier while Hill continued. But not for long as he returned to the pits at the end of that lap to retire, as a bent suspension arm meant that he couldn't continue. Could Damon Hill's zero have converted into a one in 1994? You might say at this point surely Damon wouldn't have had a chance - three minutes is an impressive turnaround time in itself but in a race it would cost you two laps. But don't forget that the gaps on pace between the cars in 1994 was much wider than now, indeed the advantage of Schumi and Hill over the rest that day was massive; a lap before the collision the third-placed man and eventual winner Nigel Mansell was some 56.5 seconds adrift. Remember they were still short of half-distance too. Fortunately too there is enough evidence from the race 20 years on to allow a crude calculation of Hill's chances. The guy that finished fifth was Olivier Panis, and he was just lapped and no more at the end; indeed he was actually between Mansell and second-placed Gerhard Berger (2.5 seconds back) on the road when the chequered flag fell. And sixth-placed Jean Alesi was right behind so it seems unlikely that he was cruising with pace in hand. Same goes for Mansell in first place with Berger on his tail. Mansell's best lap that day was a 1m 18.167secs, so it seems reasonable to assume Hill would have had to have been around 1m 20secs behind him to get the fifth place he needed. As mentioned, he was 56.5 ahead at the time of the collision, and let's say he lost 25 seconds in crawling back to the pits. 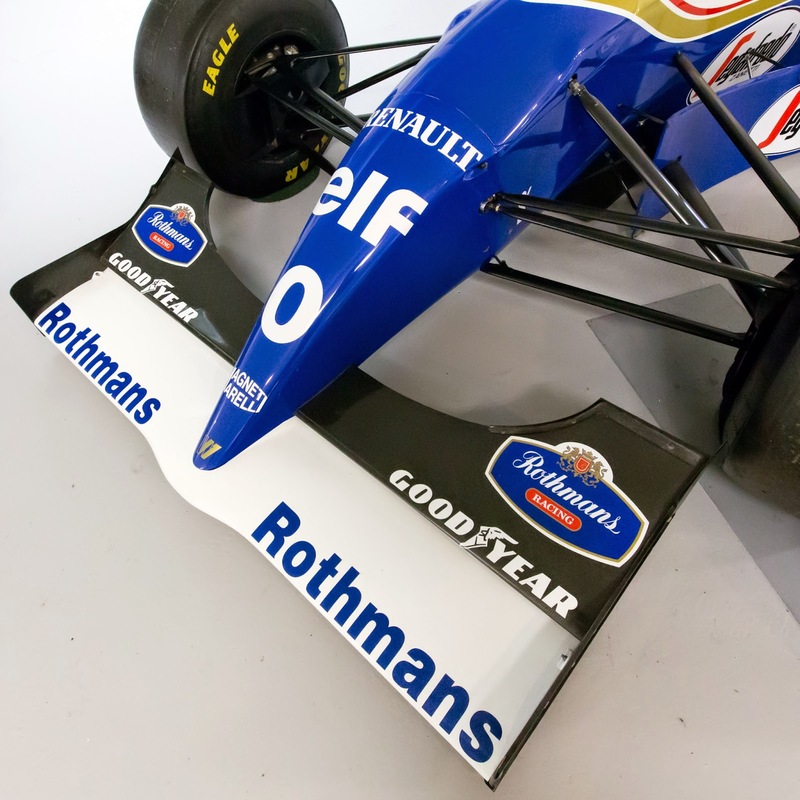 We then add on the three minutes for the suspension arm change, and assuming the Williams team would have taken the opportunity to re-tyre and re-fuel him, thus leaving both him and Mansell with a single stop to go, that would have left him 148.5 seconds, or two minutes and 28.5 seconds, behind with the same number of stops left. But remember also how much faster Hill was than Mansell that day; 56.5 seconds after 35 tours, if continued at the same rate, converts to gaining at around 1.6 seconds a lap and around 72.6 seconds over the remaining 45 laps (removing the lap wherein Damon crawled to the pits). Subtracting that from the 148.5 second gap mentioned results in a deficit of 75.9 seconds, or 1m 15.9secs, which would place Hill in the fifth place he needed, some four seconds up the road from Panis. As mentioned these calculations are crude, and they don't take into account a few matters such as Hill having to get through traffic, but Adelaide was more conducive to overtaking than most tracks of the age, and you'd think with his Renault engine in the back he'd have whistled by most. His final two adversaries - Panis with a Renault engine like Hill's as well as Alesi's Ferrari which had a lot of grunt - would have been by far the hardest to clear however.